What is the CMASS philosophy? We started CMASS 15 years ago to give young female players the opportunity to play club volleyball locally. Our philosophy is to focus on skill development both at the individual and team level, while providing a competitive environment. We hold all our tryouts and practices at Forekicks II, located at 219 Forest St., Marlboro, MA 01752.
Who is the contact person at CMASS? Leo Fahey will field your questions or issues via our contact page. What age group does my daughter belong in? Please use our age tester to determine what age group you qualify to play in. Do you have to play in your age group or can you play up a level? We encourage players to try out for their age group. 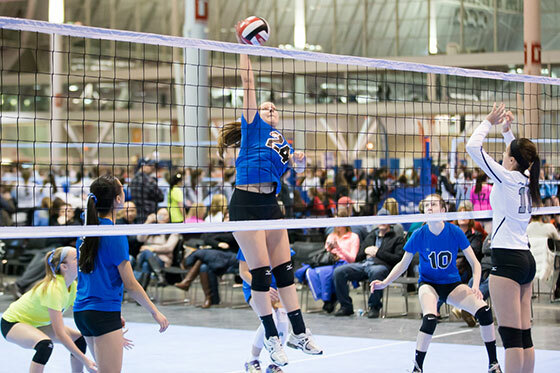 Although you may try out for an older group, you should realize that the competition at the age is much stronger and the players generally have had more experience. Furthermore, college coaches recruiting for a certain class may miss the opportunity to view a player who decided to play up an age group. The exception would be if a player wishes to try out for a tier not offered by their age group (ex: a U13 eligible player who wishes to play Tier 2+). 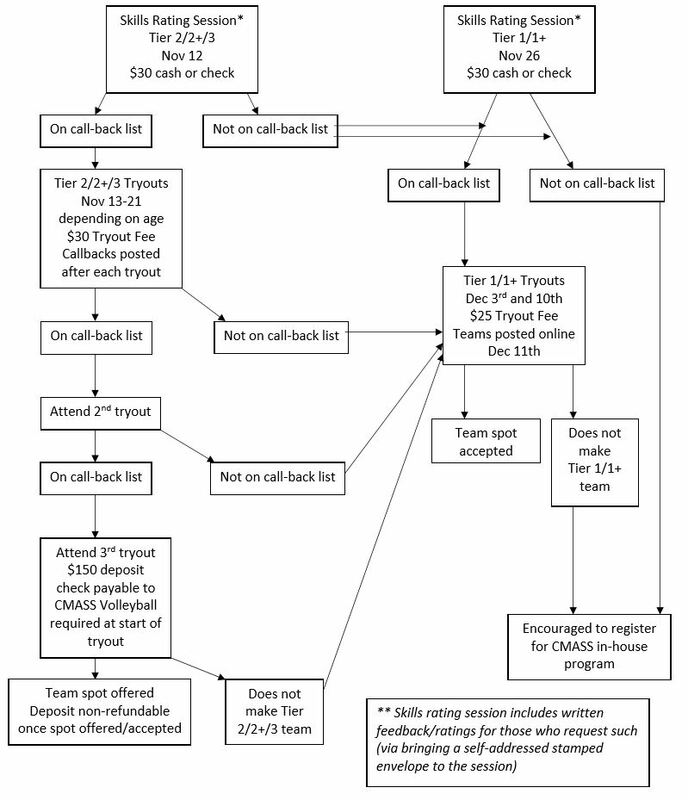 What is the difference between the Tiered Teams? See this chart to compare them easily. Team tryouts are very competitive. We have 20+ teams, which means we typically have spots for about 250 players. We have averaged over 500 players for tryouts in recent years. Due to the increasing number of players participating in tryouts, a skills rating session will be mandatory for all players wishing to tryout for CMASS prior to tryouts starting. During tryouts inter-tier movement will be made both during and after each tryout (for Tiers 2, 2+, and 3) and after the second tryout (for Tiers 1+ and 1). This will be done as soon as decisions are made in order to give the player opportunity to be evaluated appropriately for the next tier. Players who do not make the tier they originally registered for will be moved and subsequently evaluated by the next tier. Tryouts for Tiers 2, 2+, and 3 happen simultaneously, while Tier 1 and 1+ tryouts begin the week after. Any player who does not make an upper level team but wishes to tryout for Tier 1/1+ does not need to re-register or pay an additional tryout fee. If you do not make a team, or do not have the time to play on a team, we offer an 8 week in-house program that provides similar skill training and some in-house competition. Can I miss a tryout date? While it is highly recommended that a player attend all of the tryout dates scheduled for a full and complete evaluation by our coaching staff, it is not necessary to attend all of the sessions. Just let a coach or the registration desk know which session you will be missing so we can note it. Does CMASS offer private lessons? We have some one hour slots available on Saturdays and Sundays for private lessons and announce these openings via Facebook and our Newsletter. How long and when are practices? Practices are generally 2 hours long, but may be 1.5 hours for Tier 3 teams. The Tier comparison chart details the general days of the week. Final schedules can’t be set until teams are finalized. NERVA tournaments are typically all-day affairs that start at 9 AM. You start the day with pool play and hopefully advance to the playoffs. Most tournaments end around 3 or 4pm. Generally, your tournament site will be within 1 and 1/2 hours of Marlborough, MA. Parents provide all transportation to and from tournaments as well as practices. Travel tournaments are typically 2-3 days long, with the first 1-2 days being a half day of pool play (either 8a-2p or 3p-9p) and the last day being single-elimination bracket playoffs. These tournaments are held in various sites on the East Coast. Parents provide all transportation and accommodations for and during these tournaments. What is the CMASS policy on playing time? At the Tier 1 level we have a goal of equal playing time by position during pool play. “By position” means, for example, that setters might play more or less than outside hitters on a given day, based on the needs of the team. If a team makes it out of pool play, we encourage our coaches to try and win the tournament, while still attempting to balance reasonable playing time. At the Tier 2 and Tier 3 levels, our teams are much more competitive and the coaches use their judgment regarding playing time based on skill, experience, practice attendance, and team needs. Do you let boys play? Our program does not include boys teams. However, boys up to the age of 11 are invited to participate in our youth clinics. 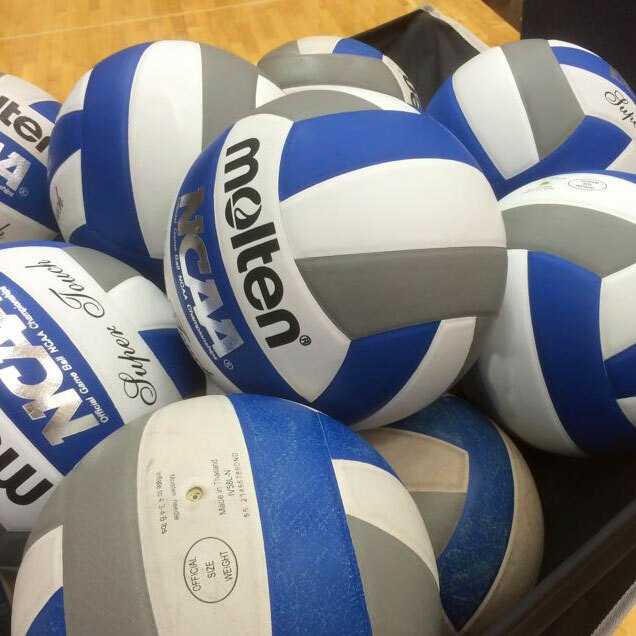 Here’s a list of the New England clubs that offer volleyball for boys. Refunds will be issued in the form of CMASS credit only (to be used toward clinics, camps, team programs, or gear). What happens if I don’t make the Tier that I registered for? Due to the increasing number of players participating in tryouts, inter-tier movement will be made both during and after each tryout (for Tiers 2, 2+, and 3) and after the second tryout (for Tiers 1+ and 1). This will be done as soon as decisions are made in order to give the player opportunity to be evaluated appropriately for the next tier. ie: a player who registers for Tier 3 will be evaluated for such during the first tryout. As soon as it is determined a player will not make that team, they will be moved to the Tier 2+ tryout to be evaluated. This will be done both during and after each tryout in order for players to be appropriately evaluated for each tier. Players who are not called back for a Tier 2 tryout should attend the Tier 1+/1 tryout.